The discourse of disembodiment (and of immaterial information) that has been so pervasive in computational and new media theorizing is reinforced in discussions of digital arts in which the artworks are explored as instantiations of data observed by a disembodied eye. While it is certainly true that ‘compared to the analogical arts – which are always instantiated in a fixed, Euclidean space – the digital arts seem abstract, ephemeral, without substance,’ this sense of ‘becoming immaterial’ is contingent on two misrecognitions (Rodowick, 2001: 212). First, a misrecognition of the question of materiality and embodiment in relation to technology and, second, a misrecognition in which the unraveling of ‘spatial coherence’ is read as a ‘desubstantialization’ (Rodowick, 2001: 212-3). The ‘challenge for new media art and theory in both making and thinking with digital technologies,’ says Anna Munster, ‘is to move beyond the twin premises of disembodiment and extension in space that continue to qualify both information and corporeality’ (Munster, 2006: 178). Digital art can challenge us to explore anew our embodied relations without returning to the narratives of disembodiment and immateriality. Writes performance and visual studies scholar Nicole Ridgway, far ‘from eviscerating the real and occluding the body/ new media at its best ‘invests in bodily affectivity. As such, it has the capacity to go beyond the aesthetic perception of the object’ and have us encounter a ‘non-representational experience’ (Ridgway, forthcoming). Technologies affect what it means to be an embodied agent; they create spaces for experience and practice. In Char Davies’ Osmose (1995, Figure 5) minimal movements, breathing, and balancing, control images, sound, and text in a Virtual Reality environment. As with all images, our movement potential is suspended. The last section explained that although we cannot walk into the ‘space’ of everyday images, we still understand them as spaces that go beyond the surface and the frame of the image; we grasp that we could move in, around, under, and beyond their objects and borders, even if only virtually. Davies’ sensors and interaction reinvest in such virtual movements – but in a way that turns our bodies and senses inward, as well as into the space of the image. This internal / external connection between a subtly moving body and subtly moving image intensifies occurrence, where relation and emergence can appear. Digital still captured in real-time trhough HMD (head-mounted display) during liver performance of the immersive virtual environmnet Osmose. With Osmose, viewer-participants literally breathe generative, image-based life into Davies’ 3D world, and navigate it using the simple angling of their torsos. They are strapped into a custom vest outfitted with motion and tilt sensors, and fitted with a standard VR head-mounted display. As they slowly exhale, their chest cavities emptying of air, trees and poetry sprawl out, in sculptural waves around them. They float or fall, turn and dive, using a combination of slow and fast gasps of air, and leaning into space with their bodies. Osmose, according to the artist, ‘is a space for exploring the perceptual interplay between self and world, i.e. a place for facilitating awareness of one’s own self as consciousness embodied in enveloping space’ (Davies, 1995). This awkward combination of action and affect becomes a heightened sensitivity to and awareness of the complex embodied relationship between vision and looking, seeing and what is seen. Osmose does not merely simulate perspectival space, but rather presents vision as a continuous, active, and fully embodied event. The artist relies neither on joysticks nor touch pads for her interaction, nor computer vision technology using cameras. She instead employs conscious movement, unconscious movement, and the potential for movement, towards growing and shifting the space around us. We move–think–feel our way through both the environment, and seeing that environment. It is an exchange, a taking account that while out of the ordinary in terms of habitual perception, is not extra-ordinary in its workings. Looking, Davies asks us to remember, always works this way. It always goes beyond our eyes, and that which is seen. Her work frames how we see, and look, as embodied agents in and of the world. Osmose is an artwork that magnifies our experience and practice of images as something felt in our bodies. Affect, in fact all of sensation, is amplified as relational and emergent. Andrew Murphie reminds us that affect has an ongoing and sometimes contradictory list of definitions. ‘Simply affecting or being affected. Affection. Emotion. Feeling. Background feeling ... Mood (which can be different to background feeling). Affective tone ... Motivation. Interest’ (Murphie, 2010a). In short, affect is an autonomous, preconscious, embodied sense of the body. Here the body ‘moves as it feels, and it feels itself moving’ (Massumi, 2002: l). Proprioception, on the other hand, folds the external senses of tactility into the body – what we sense from our skin, for example, and how that feels. Proprioception is still preconscious, but brings sensibilities from the outside in. Affect and proprioception, together, make up sensation. Where perception is about segmentation, is a ‘qualified intensity’ (Massumi, 2002: 28), sensation is an unqualified intensity that precedes perception. Perception is our conscious understanding of what we feel, our feelings. Sensation happens before we’ve given word or thought to what is sensed, before we make sense of it. It is the abstract pain in the hand we pull away from the stove, before we even realize that it ‘hurts,’ that it is ‘burning.’ We move before we ‘know’ this, we sense and move before the fire is fully perceived. For Massumi, sensation is always an enfolding, an openness and bodiliness that is outside of conscious reflection on, or understanding of, the body. It is ‘self-referential (intensive),’ while perception is ‘exo-referential (extensive)’ (Massumi, 2002: 259). This does not mean that sensation is completely without thought. The two feed into one another, perception qualifying sensation and thus shifting how we sense, and as we sense, which in turn transforms that which we sense. And so using digital art to focus on sensation rather than perception does not mean retreating from thought, ideas, or concepts – as Ruth Leys’ critique of the turn to affect would have us believe (Leys, 2011). It is about exploring the intensive in addition to the extensive. The arts, Elizabeth Grosz reminds us, ‘produce and generate intensity,’ create an affective ‘system of dynamised and impacting forces rather than a system of unique images’ (Grosz, 2006: 15). 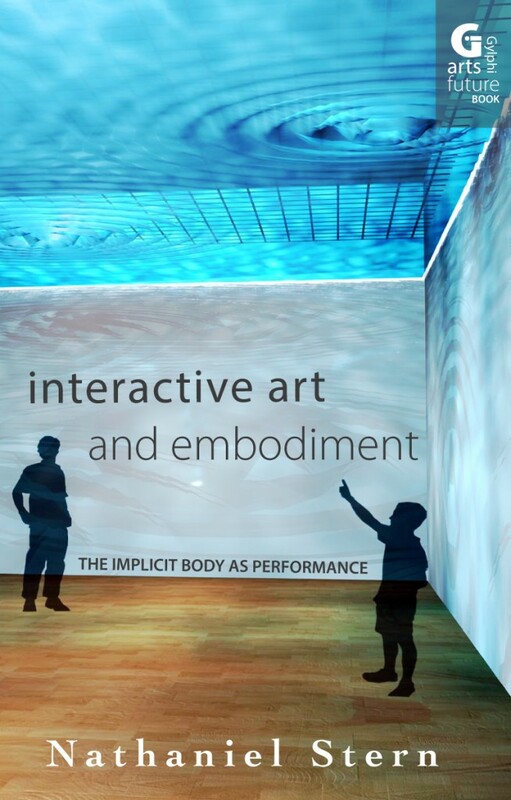 Affect, proprioception, and their sensibilities are the intensive part of moving–thinking–feeling bodies and matter, and art intensifies intensive experience.